You are here: Home / Is An E-Liquid’s Taste The Same As Its Flavor? Is An E-Liquid’s Taste The Same As Its Flavor? One of the most talked about aspects of electronic cigarettes besides the battery is e-liquid. 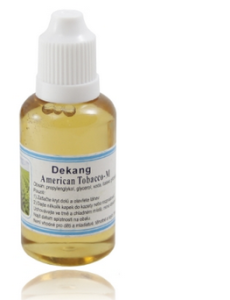 This is because it is the oil that keeps the e-cig functioning. In relation to e-liquid, there are two words that are used, that is, taste and flavor. Are those words interchangeable? Is there a difference between them? When should each be used? Read on and this matter will be broken down. Taste. Early in life, people encounter taste. It is a chemical sense made known to us when special cells called taste buds come in contact with an item of food or drink. Flavor on the other hand is a result of a combination of several of our senses perceiving something. For example, flavor can be combination of taste as well as smell. When spices are a part of what you have eaten, pain is also factored into flavor! As such, the door is open to manipulate flavor in many ways such as altering the physical appearance of that thing or changing its texture. What Factors Affect The Taste Of E-Liquid? Genetics. Everyone experiences bitter flavors in their own way. This is because the genes responsible for the development of taste buds differ in each person and it is a rule that each individual on earth lacks the genes to taste a certain scent. That in effect means that when given the same substance, people will have a different taste in their mouth and there will be about 25% that may miss it altogether since they lack receptors for that scent. Experience. One surprising reality is that babies will like foods that their mother ate while she was pregnant or when she was breastfeeding that baby. With such a predisposition, you can see how what tastes people like will vary widely. Culture. The food items that are very common in a given culture will be liked there while those that were raised without being exposed to those foods will dislike those tastes. Take Asians and spices; try such a diet on a European and see what happens! Gender. Yes, differences between sexes are not just social constructs. Men are more drawn to salty food while women will flock towards sweets in droves. Do you see how that will affect the choices they make when it comes to e-liquids! Texture. For some unknown reason, there are people that will hate gritty food while others will be drawn to slimy foods. These differences will show in the e-liquids such people express a preference for. Have you mixed up taste and flavor? You are not alone. The next time you are talking to someone about what a certain e-liquid is like, be sure to distinguish between taste and flavor, and also remember that the way something tastes to you may not necessarily be how it will taste in another person’s mouth. That is what is meant by the statement “vaping is a personal experience that is unique for each individual”. What’s your flavor?